I wrote recently about wondering how I could keep guacamole in my diet and keep corn chips out. I’m happy to say that I have solved that problem. Rather than use guac as part of a snack, I am now using it as a part of my meals. 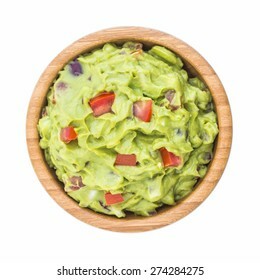 I have altered the type of salad I eat to a more southwest flavor, which has allowed me to use guac, with some shakes of hot sauce, as a salad dressing. This also replaces the processed raspberry vinagrette that I was using; win win. This shift gives two victories in the drive to increase my whole food intake verses processed food. That’s the central goal of how I eat, that my diet be 90 or 95 percent whole food. I was keeping a journal of it, which lasted successfully for two days and unsuccessfully for one, and that’s where such attempt ended. I might get back to it, but I can focus on the goal without it. Another little perk is that I don’t have any hangups if a want a few cookies. Cookies are good; people who know me, especially around the bar, know about me and cookies; me and cookies are like peas and carrots. And, having made all these right decisions to eat whole, unprocessed food, I have no qualms having a few cookies when I want them. Then, of course, I get the even greater benefit of feeling better. Wins and feel good juice all over the joint, baby. I’ll pick this up sometime soon. Be well, and make good choices. Next PostNext What’s with the new focus on food?